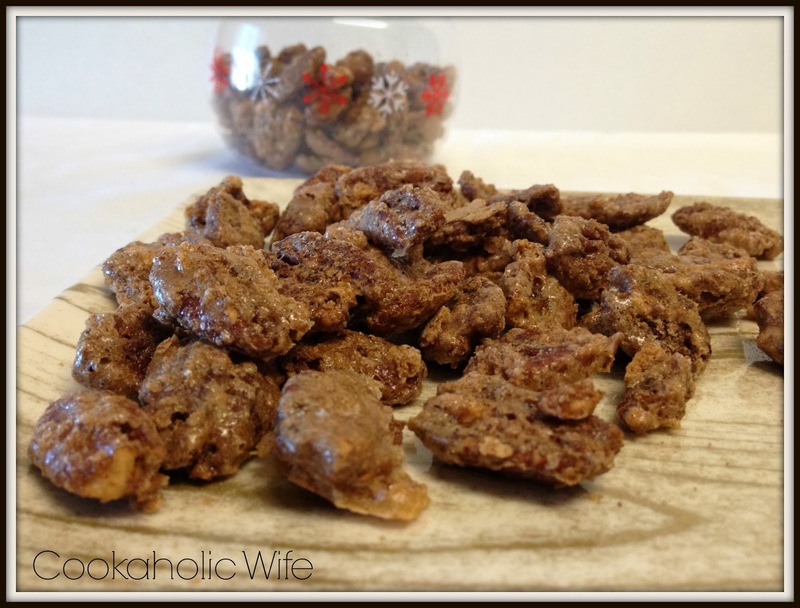 Recipe Remake: These sugar coated wonders of goodness were one of the first recipes I ever made. I first served them for Thanksgiving and everyone quickly gobbled them up. 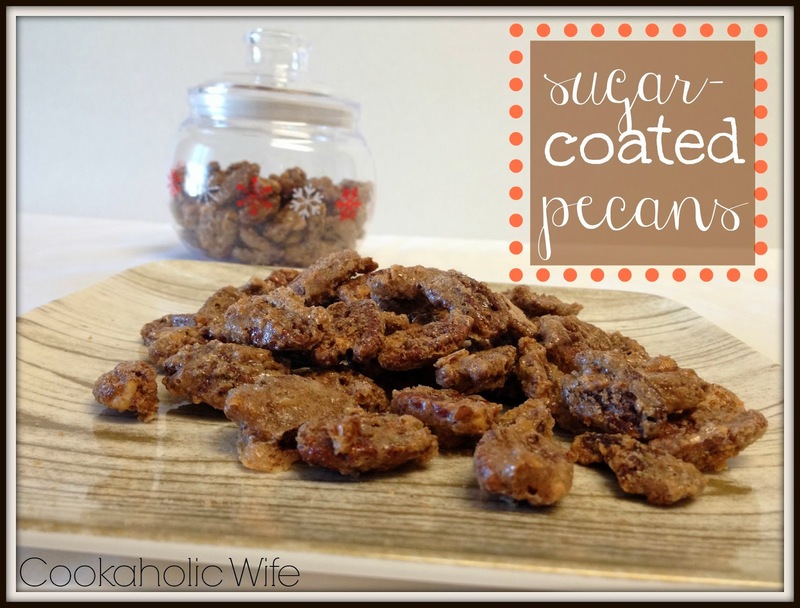 Since the price of pecans has increased significantly over the past few years, I hadn’t made these as often as I would have liked, but when the holidays came around again, I knew it was time to splurge on the cost and make these again. Servings: ~ 1 1/2 cups. 1. Preheat the oven to 250. Line a large baking sheet with a silpat or parchment paper. 2. In a large bowl, whisk together 3 egg whites, sugar, cinnamon, vanilla and salt. Stir in the pecans and toss to coat. The pecans should look glazed. If they do not, add the remaining egg white and continue to toss them until fully coated. 3. Spread out the pecans on the prepared baking sheet in an even layer. 4. Bake for 1 hour and 15 minutes, tossing and stirring the pecans in 15 minute intervals. 5. Allow to cool completely before breaking up into clusters. Pecans will keep for 2-4 weeks in an air-tight container. Good luck on keeping them in your house that long though. I’ve never managed to keep these around for more than a few days. I made these for the first time last year. They were a huge hit. My mom and my aunt both requested the recipe from me. Luckily for them, I managed to hide an extra bag of them because Tom and I started snacking on them waiting for everyone to come over and ate about half of them. They are that delicious!